We have created a Fall 2018 template that you could use to speed up your course development. The template contains an orientation module with some Canvas tutorial videos for students, and a page to show them how to get help. There are some additional activities which are unpublished for you to choose to use them. Remove them if you already have similar items. The template also contains modules marked by weeks. 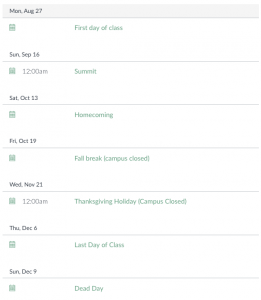 The template also contains some key events from the academic calendar to help you and students to keep track of them. 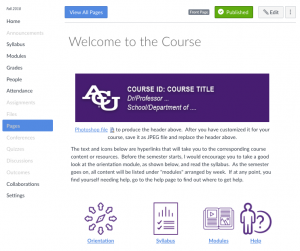 Additionally, we have created a course homepage which you can customize for your own use. If you decide not to use it, go to course home page, and use “choose home page” to select another course entry method. To use this template, go to your course’s home page, choose “import from Canvas Commons”, search for “Fall 2018 Course Template” and import it into your course once you have found it. If you run into difficulty in any of these steps, please contact the Adams Center for help. When requesting help, remember to send the course URL for us to find your course quickly. 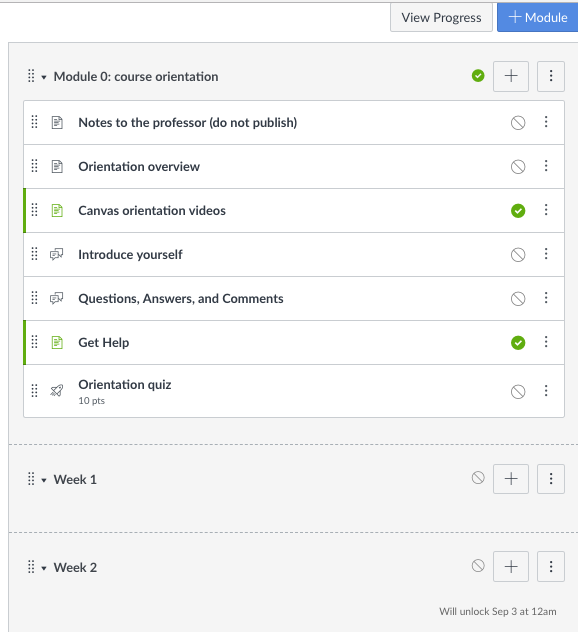 This entry was posted in Canvas, Instructional Design by Berlin Fang. Bookmark the permalink.